The "Achaeos" with 198 passengers on Board allided with the pier in the port of Agistri island on Apr 13, 2018 at 12.40 p.m. 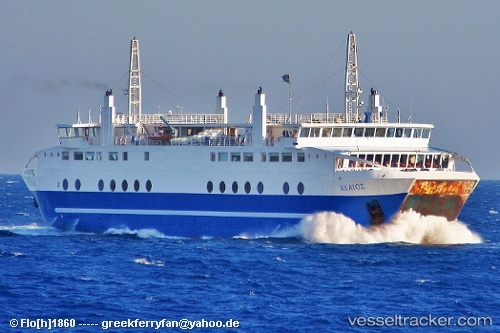 The ferry, while serving the route Aegina – Piraeus, tried to dock at the port of Agistri island in the Saronic Gulf, but instead crashed into a pier. Five passengers received minor injuries. They were sent to the hospital in Aegina town. Four of them after the aid left the hospital. In the evening of Sep 18, 2016, the "Achaeos" suffered a failure of the sanitation system due to a vacuum drop while en route from Aegina to Piraeus with 588 passengers on board. The ferry was banned from scheduled sailings after having berthed in the port of Pireaus at 9 p.m., until completing repairs and undergoing survey.